Standout Students is a celebration of successful students from around Orange County. Do you know a standout student? Contact us. 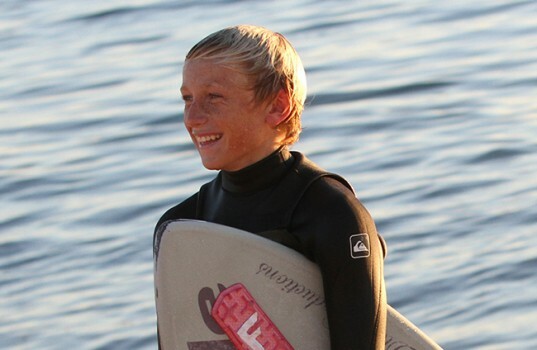 Travis Williams, age 16, is in his second year at Halstrom Academy and is enjoying a full and balanced life, excelling both in school and his competitive skim boarding, as well as spending time with his passions for videography and photography. Travis spends many of his waking hours at the beach or near the ocean, either training as a competitive skimboarder, doing photography or making videos. Recently he shot video footage and has been helping create a television commercial for a local Huntington Beach business. His photography and videography is already well regarded – he has more than 1,300 followers to his YouTube Channel, Dilt Productions. 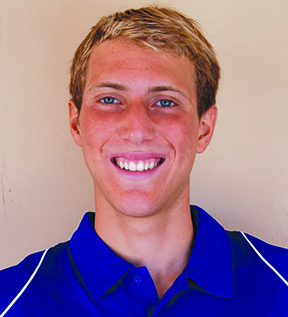 As a competitive skimboarder, he has won several awards, including coming in fourth in his age group at the Victoria Skimboards World Championship of Skimboarding in 2012. At Halstrom, he does well in all of his classes, but he says he really likes his science and math classes because his teachers help show him how interesting these subjects can be. Travis also really enjoys the photography classes he’s been taking since coming to Halstrom. It is a good complement to his other classes and he has been able to learn some new techniques. With so many interests and aspirations, Travis looks forward to continuing his education at a four-year university after high school. 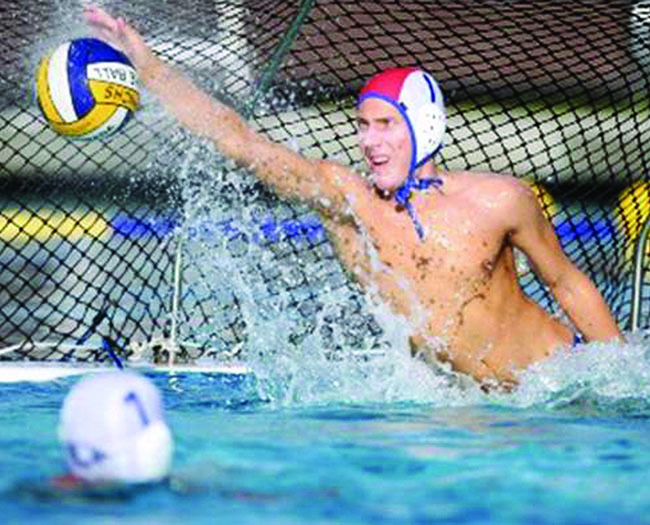 From the pool, to the stage, to the classroom, Santa Margarita junior Ryan Melosini is more than just a triple threat. 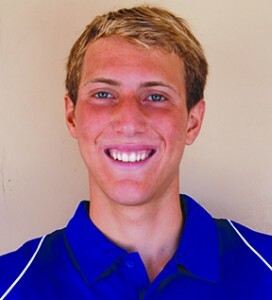 An outstanding athlete, Ryan has been the starting goalie for the Varsity Water Polo team since the beginning of his freshman year. Ryan takes all honors classes and ended his sophomore year with a 4.76 GPA. He recently earned the rank of Eagle Scout and stepped out on the stage for his musical theatre debut at the end of his sophomore year with a standout performance as the lead role of the Beast in SMCHS’ production of Beauty and the Beast. Marmalade: In your opinion, what is the key to success? Ryan Melosini: Success is guaranteed by effort, determination and cooperation. M: What’s the #1 lesson you’ve learned in high school? RM: The biggest lesson I have learned is that humility is the most important thing that I can have. Even if I go on to accomplish great things and achieve success, I am nothing without humility: I know now that only true men have humility. M: What do your parents say about your accomplishments? They always tell me how proud they are. The good thing about them is that they often encourage me to push my limits. My dad always tells me that “the only person stopping you from reaching your dreams is yourself.” They truly believe I can do anything. M: Who is the main person you look up to as a mentor and why? Melosini who passed away two years ago. I have always looked up to him because he was an example of how to live life to the fullest and he was a man of great character, integrity and passion. He taught me many things.